All the preparations have been made; you’ve ticked off the list, a new bed, training book, food and water bowls, some cool toys and the puppy kibble a raw food diet for puppies . The anticipations rising and there’s nothing like the feeling of that day when you go to fetch your new adorable young puppy. It’s like being a kid on Christmas Eve. A new member of the family enters the home and a new life begins. Feeding a Puppy – A Match Made in Heaven or Hell? 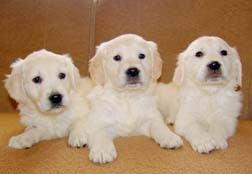 The one crucial element missing from so many puppies diets is that there’s no fresh food in the diet. While it may seem obvious to us that our kids need healthy balanced meals with some variation in choice to grow up healthy and strong, the vast majority of puppies will dine on kibble or canned pet food. Kibble and canned pet food are the nutritional equivalent to a big mac and fries and puppies are expected to dine on this stuff day in day out for life! You know fast food is ok for a weekend treat-in my house it might be pizza all round come Friday night but your poor puppy has to eat puppy kibble. If you heard, read about or saw the Morgan Spurlock film – Super Size Me – about one man’s month long experiment with consuming ONLY Mac Donald’s for breakfast, lunch and dinner. He suffered dangerous health side effects and was warned repeatedly by his doctor of his rapidly deteriorating health condition not to mention putting on several stone in weight with cholesterol levels through the roof. 85% of dogs by age 4 will suffer from periodontal disease increasing to 100% by age 12. Half of all dogs over the age of 10 will have developed cancer. Cancer is the Number 1 cause of death in dogs. In the U.S. 1 in 5 dogs suffer from Arthritis. 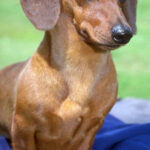 27% of all dogs suffer from allergies that cause scratching and ear infections. Tooth and gum problems are the most common medical condition seen in pets. 1 in 4 dogs the world over are obese. High fat and sugar levels in commercial pet foods are a leading cause for obesity and the number one health disorder seen by veterinarians across the U.S.
Poor nutrition creates chronic disease that builds over time until it overwhelms the body and diseases like cancer are the result. Commercial junk food in the form of kibble and canned food of any variety and any stated quality IS poor nutrition based on the research figures and firsthand evidence from many thousands of pet owners. The preposterous claim that commercial junk food is “balanced and complete” is nothing more than commercial misuse of information to get you to think their labeling is good. Dr. Elizabeth Hodgkins DVM, Esq. 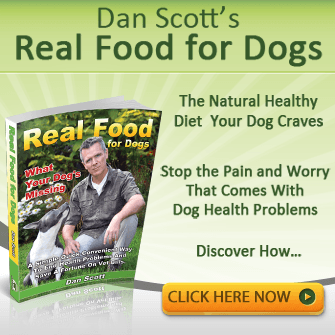 stated in her article Safe Pet Foods and Truthful Labels: Are They Possible? 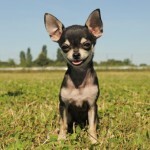 Commercial Pet Foods Are More Unsafe Than You Think! “The recent recall of millions of cans and bags of commercial pet food after contaminants were found in these products has caused pet owners all over the world to wonder just how safe commercially-produced products are. ….legislative loopholes that have existed for decades in the United States, and which have allowed unsafe, even toxic foods to be freely marketed to pet owners all over the world. …all the more shocking is the fact that every bag and can of recalled product in the recent and more distant recalls contained label guarantees that told the consumer that they are tested safe to feed for the lifetime of the pet! Clearly, those label guarantees were false and misleading. How Is It Possible For Pet Foods to Carry Unjustified Label Claims? We are all ignorant of something, we just don’t know some things and commercial pet food is not good for our puppies, in fact it’s very bad and will lead to pain and misery in time as the statistics above so transparently point out. 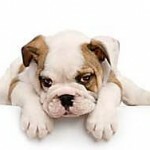 So What’s the Best Puppy Food – The One That Brings Peace of Mind? Drop the kibble and canned pet foods; feed a raw diet for puppies and you will have in return complete peace of mind knowing that your puppy will grow into a healthy dog with virtually no health concerns. 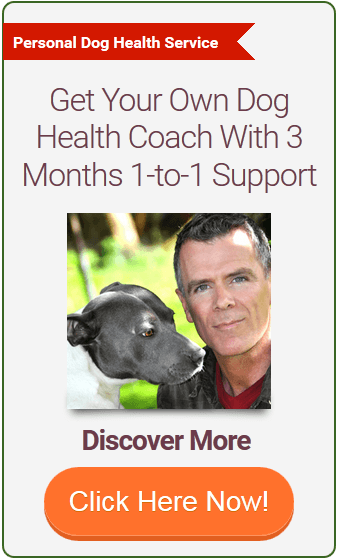 Your growing dog will have a rock solid immune system protecting him or her for life. Your senior dog will be bouncing about at an age when most dogs slow down, and with the added benefit of living that much longer. Feeding a raw meat diet for puppies naturally is a wholesome family practice that has been forgotten in our modern convenience world. Your puppy deserves to be fed with the same knowledge that helps feed your kids. 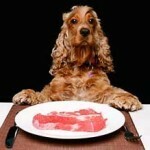 It’s easy to feed a raw puppy diet. After a small initial learning curve you’ll wonder why you haven’t been doing it all along, especially when it makes so much sense and is in fact very straight forward. You will also save on the food bill and literally thousands in vet costs over the coming years. Watch the video below to underline why puppies thrive on fresh food. Go get my free comprehensive guide below that will help you discover a more natural diet and secure their health and well being to 18 years in full vibrant health instead of the national average of 12.5 and sickly.